Add a touch of elegance to your home or business. Joseph Ruperto Masonry offers the finest in traditional European craftsmanship. 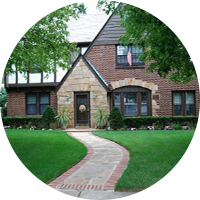 Traditional stonework and artisanal masonry are great ways to improve any home or business. Find out what customers are saying about Joseph Ruperto Masonry. We have been serving the Long Island region for more than 30 years and our testimonials page includes real feedback from families and business from throughout the area. See our work for yourself. Our gallery contains images of a few of the recent masonry projects we have completed. Take a look at some of the beautiful indoor or outdoor features our paving contractors in Nassau County, NY, can add to your home or business. Contact us to schedule a free estimate and consultation. 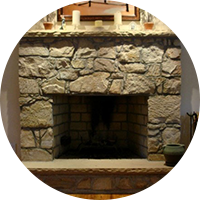 Joseph Ruperto is a true masonry artisan who has more than 40 years of experience in the masonry services trade. He is a man of vision, passion, and dedication whose work is admired by the most discriminating clients. Born and raised in Southern Italy into a family of seven children, Joseph began working at the age of 12 in order to help his family. He became an apprentice and later a masonry artisan. In 1971, he moved to the United States with his wife, Maria, and eventually had a daughter and two sons. During his leisure time, Joseph enjoys spending time with his five beautiful granddaughters and listening to music. The entire team at Joseph Ruperto Masonry is dedicated to bringing customers the ultimate in fine masonry craftsmanship. The company is based Carle Place, New York, and has been serving Long Island and Nassau County for more than 35 years. We are proud of our reputation for quality and reliability, and we always use the finest materials, whether it’s a driveway or patio installation. Our work is certain to increase the beauty and value of your property. We are members of the Mason Contractors Association of America.